This is one of the best cafes I have ever been to. The food – absolutely gorgeous. 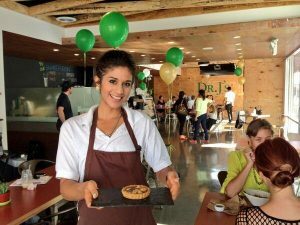 The staff, some of the nicest people I’ve met, and the entire place – somewhere I’d want to go every day! If you’re stopping by LA, especially if you’re in Downtown, you MUST GO THERE! This place is simply amazing. OMG! Everyone at Dr.J’s were just SO FRIENDLY AND SWEET! I’ve never seen people who looked just so vibrant (that name fits so perfectly). The entire place is just so full of life and whenever I went, I beamed with life because of the atmosphere too! It was hell of an awesome experience! I love that they focus on health. 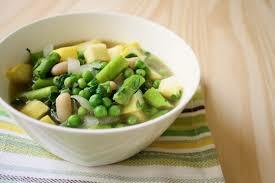 Their philosophy is: No sugar, no dairy, no wheat, no yeast, no alcohol, no caffeine, no chemicals, no nicotine. I want to freaking frame that quote on a wall and present it to EVERYONE because this is 250% what I believe in. Our health is so absolutely linked to our happiness and without it, nothing else would be important. I believe people truly need to lose their health to really appreciate it. 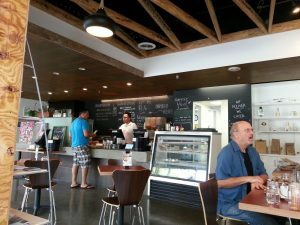 You know, the greatest thing ever about eating at a cafe focused on health is I don’t have to go through the menu taking hours to think about what’s healthy and what’s not. I simply choose from the list. GREATEST FEELING EVER! I lost count how many times I had to look over the menu 200 times to make sure I’m getting something “healthy”. Avocado, banana, baby bok choy and baby spinach juice. 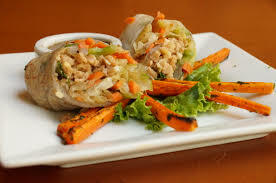 House-marinated tofu chunks with thin sliced vegetables in a pure fresh wrap. 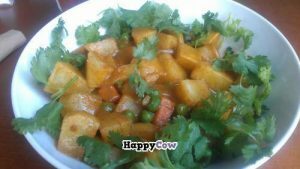 Hearty, specially seasoned curried potatoes with carrots, onions and peas. The original tea formulated by Dr J over 20 years ago with over 11 different herbs that work to support and cleanse your liver and kidneys, as well as balancing the body. 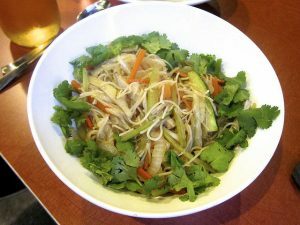 Pure rice noodles wok-fried with tofu and mixed vegetables. 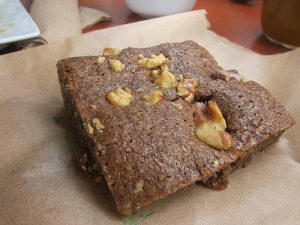 Roasted carob powder and chopped walnuts go into an irresistible soft brownie. 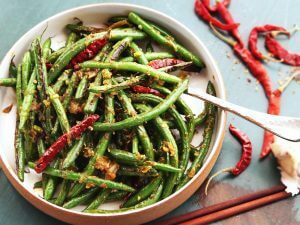 Seasoned green beans, tofu and onions in flavorful spices. 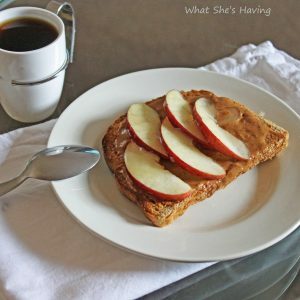 House made apple and almond butter spread over DrJ’s famous pure bread (made from pulp from juices). Dr.J’s famous signature snack-on-the-go made with rolled oats, sunflower seeds and dates. 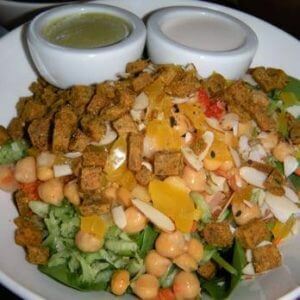 House-seasoned tofu chunks on a bed of organic veggies. 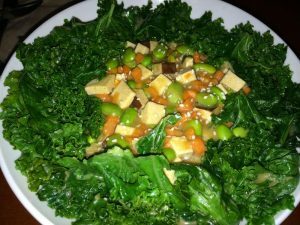 A mound of fresh edamame with baked tofu/carrot mix and kale. Tofu, flaked seaweed, carrot coins and ginger in a light refreshing broth. Great way to start your day! A hearty, nutrient packed muffin. 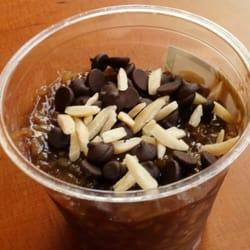 Specially sweetened organic brown rice, chilled and topped with carob chips and almond slivers. 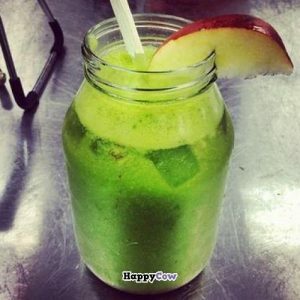 Apple, carrot, celery and cucumber juice. 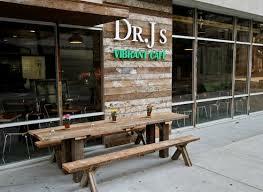 It was some of the best tasting foods I’ve ever had, and it was satisfying, filling and DELICIOUS with a capital D!!! I LOVE it so much I had almost EVERY single bowl there is. If I had more time in LA, I was certainly going to buy everything on that menu.